Last year, we heard that scientists were probing a strange oblong object from outside our solar system – now it seems that a team of researchers have reason to believe this bizarre extraterrestrial spectacle could actually be a legit sign of alien life. The object, ominously named after the Hawaiian word for ‘messenger’, was first spotted having entered our solar system in October 2017, and scientists have been working in intense investigations to work out what the 400m long, reddish rock of endless possibility could actually be ever since. A year on, researchers at Harvard have suggested in a recent paper that ’Oumuamua “may be a fully operational probe sent intentionally to Earth vicinity by an alien civilisation”. It’s certainly a lot to take in, but ever since the object entered our solar system at a record 59,030 miles per hour, it has been clear that no possibility should be ruled out entirely. 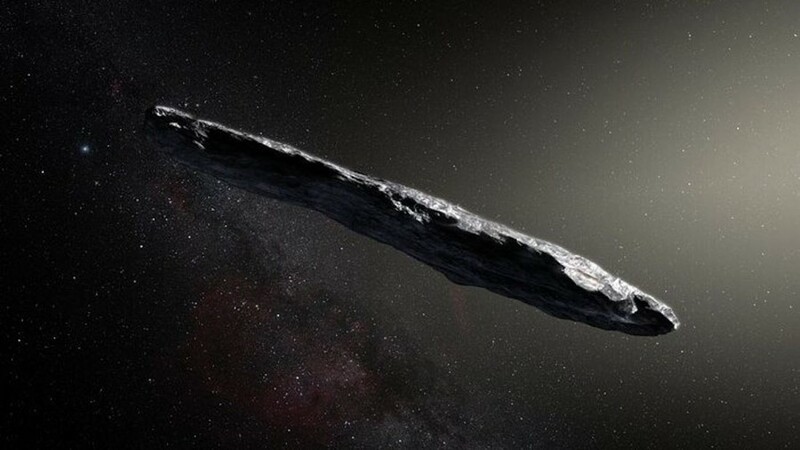 This idea hasn’t emerged because of any alien sightings or cigar-shaped crop circles just yet though – the claim is based on the speed at which ’Oumuamua was propelled past the sun, suggesting that it could be a “lightsail of artificial origin”. What exactly does that mean? ‘Lightsails’, Sky News reports, “...are a proposed method of spacecraft propulsion which uses radiation pressure exerted from sunlight or large mirrors”. The researchers also suggest that it may not be fully operational anymore, given its high speed and unusual travel path. The paper arguing for this case was published this week in Astrophysical Journal Letters. Another paper, published back in March, suggested the object came from a binary star system, which means a system with two stars. A team of scientists suggested back in January that ’Oumuamua could simply be the first known interstellar comet, a conclusion reached “because the rock is actually accelerating – something comets do in space”. Ultimately, so far, it’s all totally speculative and not backed up by conclusive evidence. In the last few years, there have been several other instances that have hinted at the possibility of alien life, from a strange radio signal to a flickering star. However, the radio signal was investigated and found to be coming from Earth all along, while the star – known as Tabby’s Star – apparently just looked to be flickering because of passing dust in the atmosphere. It’s going to be some time yet until we get the IRL Sigourney Weaver-fronted showdown with our alien counterparts.